Knit A Dragon with Kim Harrison! 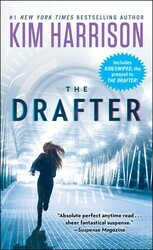 Knitting is one of Kim Harrison’s, author of the forthcoming The Drafter, favorite past time and now, she’s inviting you to join her! In this session of “Knitting With Kim,” she invites you to knit a dragon like the one below! Elsa, the snow dragon. Or, ah, Blue Firelizard . . .
Kim breaks down the directions in her blog. If you’re interested in knitting along with her and having a (knitted) dragon of your own, click here and get knitting! I so wish I could actually knit and not make a mess. I love this dragon!